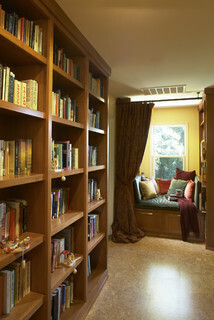 When you consider the idea of a reading nook, different images may come to mind. For some, the nook may be in an out of the way corner, surrounded by floor to ceiling book shelves filled with favorite volumes. For another it maybe tucked unexpectedly under a stairway or behind a curtain on a window seat. Having a special place for reading is the ideal way to encourage younger kids to read and allow teens and adults a place to unplug. Even when designating a space as small as a reading nook, the right paint job can have a significant impact. Certain color choices can evoke feelings of calm that are ideal for anyone wanting to lose themselves in the pages of a good book. Depending on your personal style, the right hues can achieve the desired effect, whether its one of sophistication, whimsy or worldliness. Will it accommodate just one person or more? Will there be space to store a few books or will shelves need to be installed? What will the seating area consist of? …a plump chair, cheery bean bag or overstuffed window seat cushion surrounded by throw pillows? For more information about our services, please call Colour Solutions at 910-686-3067. The fall season is often a time of reflection for homeowners along the southeastern coast of N.C. Between Memorial Day and Labor Day the weeks are typically filled with trips to the beach, time on the boat, barbeques and numerous house guests. When autumn finally rolls around, many who own coastal properties notice some serious sprucing up is in order. 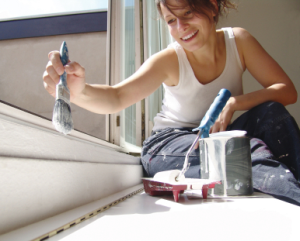 The summer heat and humidity can wreak havoc on your home’s painted surfaces, inside and out. At Colour Solutions, we agree with the old adage, that dollar for dollar, painting your home is one of the most cost-effective improvements you can make. With fall’s cooler temps and dryer air, perfect painting conditions are here, so why not freshen up your beach house with some favorite coastal color combinations? For exteriors, classic choices are a solid winner. 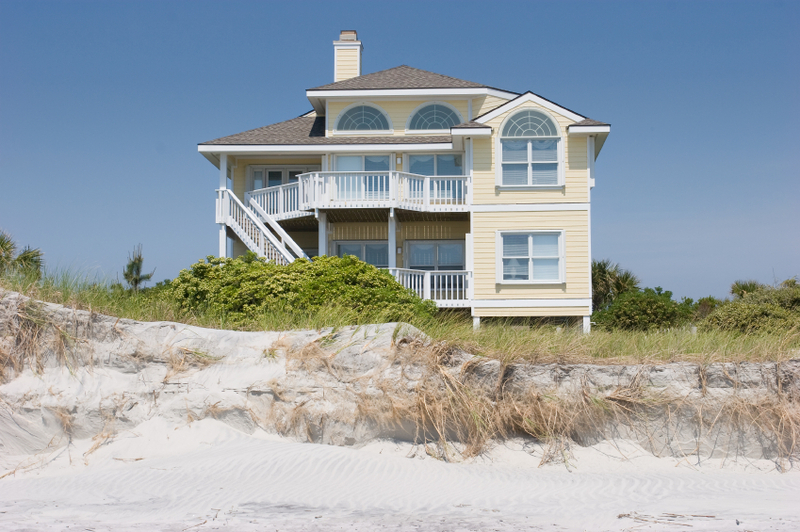 Along the beaches of N.C., lots of homeowners choose shades that blend and compliment their surroundings. Timeless matches are rich grays, sandy beiges, butter cream yellows, pale shades of sage and light blue, all paired with crisp, white trim. Recently, there’s a trend to opt for the bold and cheerful Caribbean color schemes. 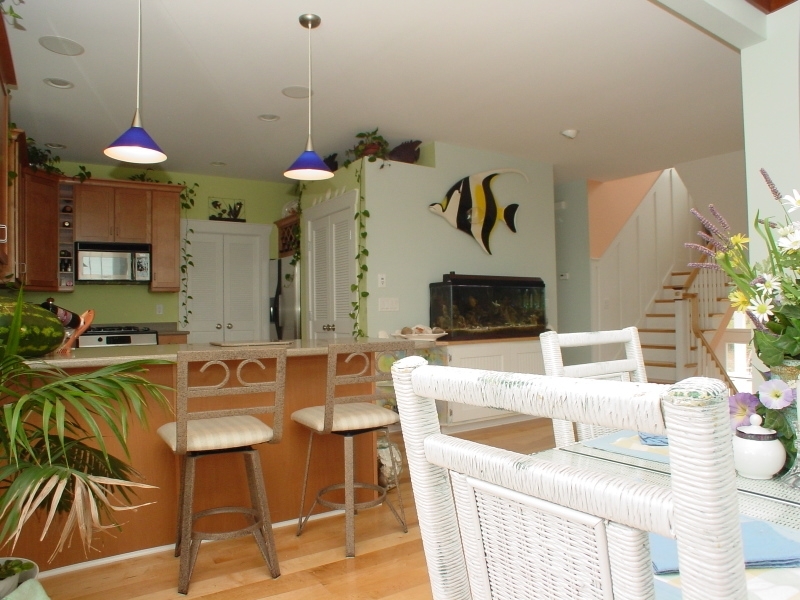 Vibrant hues of pink, orange, aqua, blue, and yellow can totally transform an older beach cottage. 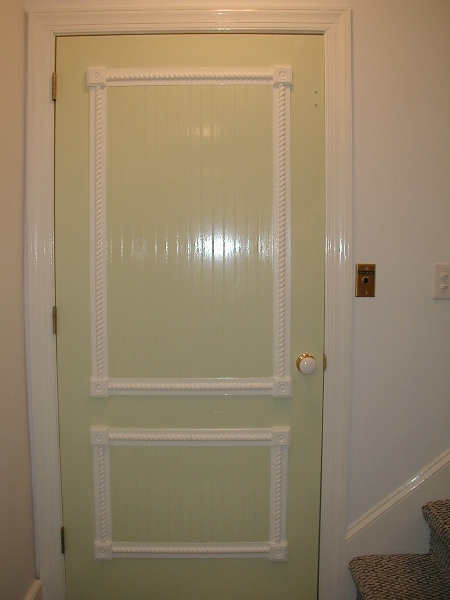 Whimsical contrasting pops of color for the trim, doors, windows, and shutters, are also very popular. To maintain an airy feel inside the home, light colors are always a good choice. Whitewashed walls with accents of bottle blue, sea glass green, beach sand, or pelican gray are effective for achieving cottage chic. 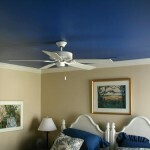 Painted ceilings and floors are another easy way to make rooms bright and breezy. 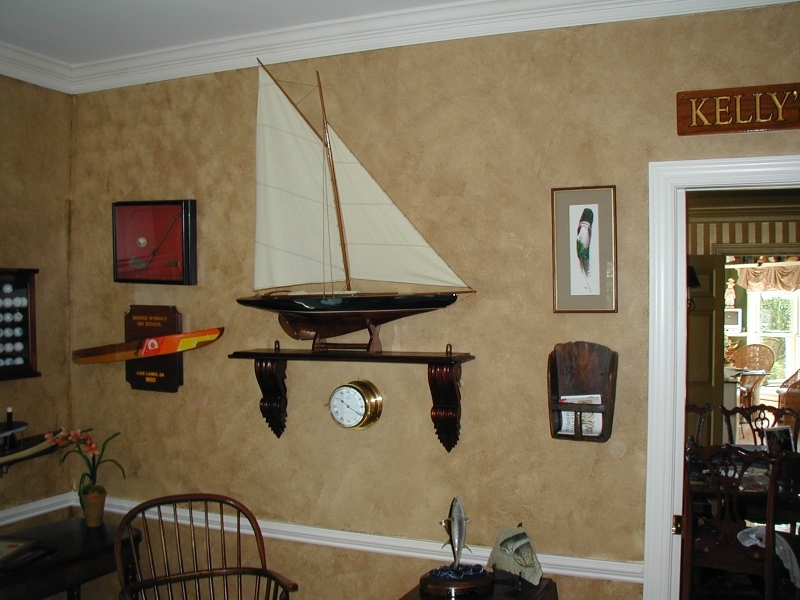 The idea of painting old knotty pine paneling that is in some older beach houses, would make some cringe, however, there’s no better way to lighten up. The same goes for brick fireplaces and mantels. Changing the finish from tired red clay to serene oyster white works wonders and is an easy way to update. For more ideas, we encourage you to schedule an appointment to discuss paint and stain options. Please call us today at 910-686-3067 or contact us online. When people think of interior painting, they usually just think of painting the home’s interior walls, baseboards, doors, window frames, and maybe the ceiling. But did you know that there are a number of unique home painting projects that can add a whole new look to your home’s interior? Believe it or not, there are plenty of painting projects that a homeowner might hire a professional for – that don’t have anything to do with the home structure itself! 1. Furniture – Even though a lot of folks decide to paint furniture themselves (after all, it’s fairly easy to do and doesn’t cost much), others prefer to hire a professional painter. It could be for any number of reasons. Some people just don’t want to devote the time it would take, others would rather trust a professional to make sure the paint job is completed in the best way possible and some people, while they love the look of freshly painted furniture, just don’t have the desire to do the work themselves. A few ideas on painting furniture to transform the look of your space include, kitchen tables and chairs, large items such as a hutch or buffet, living room end tables, coffee tables, dressers, bookcases, and so on. 2. Upholstery – That’s right. You can actually paint the fabric on your sofa, armchair, pillows, etc. 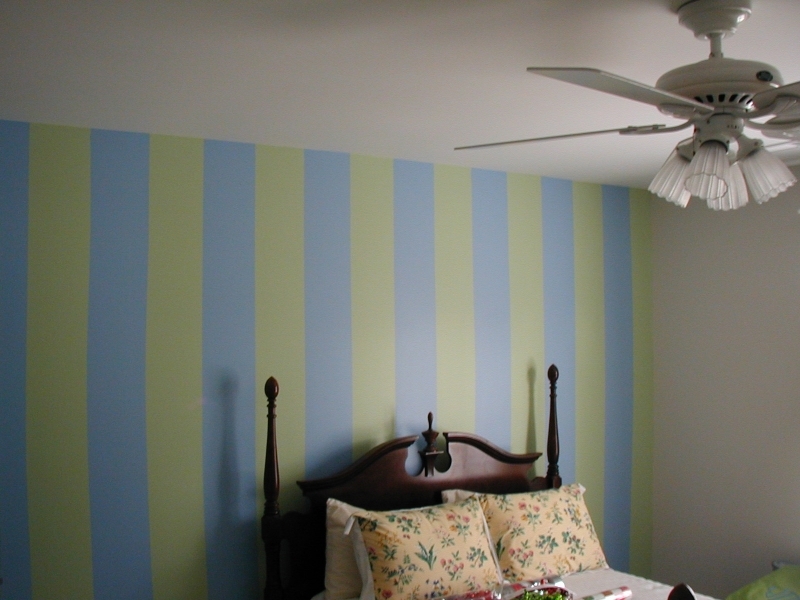 The process is a bit more complicated that regular painting, which is why hiring a pro might be a good idea for this particular project. In order to successfully paint upholstery, you will need to use a mixture of water, fabric medium (can be found in craft stores and some home improvement stores) and latex paint. Be sure to let your upholstery dry thoroughly before allowing anyone to sit down on it! 3. Appliances and Fixtures – From refrigerators to washers and dryers and even countertops and faucets, you can bring a new level of style to your home by adding a fresh coat of paint. The most popular type of paint for appliances and household fixtures is metallic, but you can go with something simple like black or white as well. If you’d like to hear more about unique ways to improve your home’s interior through painting, contact the painting professionals at Colour Solutions. 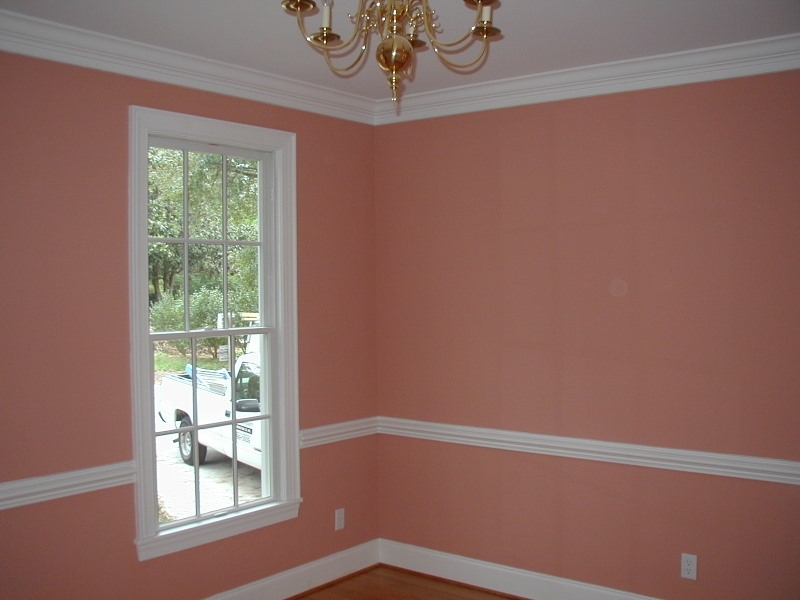 Serving the Wilmington, NC area, Colour Solutions can offer expert advice and helpful design suggestions for your painting needs. 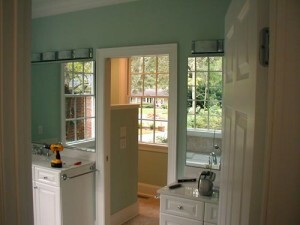 Call (910) 686-3067 or visit Colour-Solutions.com today for a free estimate! Making improvements to your home’s kitchen and bathrooms can have a big impact on its resale value, not to mention your own sense of comfort and happiness. One way to easily transform your kitchen or bath into a beautiful space is to add a fresh coat of paint. 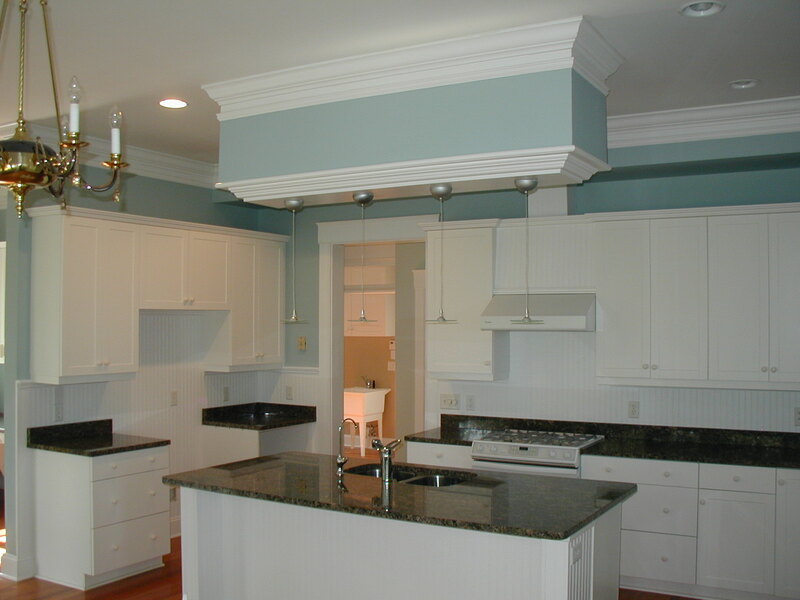 At Colour Solutions, we offer a range of kitchen and bath painting services in the Wilmington area, from simple applications to luxurious faux finishes, all at a reasonable price. If you’re planning on putting your home on the market soon, a newly-painted kitchen or bathroom will add value to your home and will likely attract more potential buyers. Just be sure to consult with a Colour Solutions design expert first, to help you choose a color that will appeal to a wide range of tastes. Of course, you can’t please everyone, but when putting your home on the market, it’s important to consider the taste of those who may be interested in buying. If you choose something extreme or something that reflects the current “fad,” the paint job may end up being more of a deterrent. Neutrals are usually the safest bet, but light or muted colors can also be attractive. Even if you aren’t planning on selling your home any time soon, adding a fresh coat of professionally applied paint can do wonders for your home’s personal appeal. Kitchens are especially important. It is estimated that most people spend the majority of their time at home in the kitchen, as opposed to any other room in the house. It makes sense when you think about it. Kitchens are thought to be the heart of the home, as this is usually where families gather to prepare meals, talk to one another and socialize with friends. Haven’t you ever noticed that people tend to hover around the kitchen at parties? This is probably due to the common link between food and socializing. So why not do something to really improve one of the most important rooms in your home? A professional paint job is a relatively inexpensive way to spiff up any room, but a kitchen will benefit from it the most. Like kitchens, bathrooms tend to get a lot of traffic. Although they aren’t used for socializing or eating, bathrooms are also very important when it comes to the overall comfort and appearance of your home’s interior. A bathroom with a poor paint job or stained and outdated wallpaper will certainly detract from the home’s resale value, but it can also bring your mood down. Studies have shown that when homeowners are proud of the way their home looks, they tend to enjoy spending time at home more than those who are unsatisfied with their home’s appearance. If you’d like to explore the possibilities in your home, be sure to contact Colour Solutions for a free painting estimate. Call 910-686-3067 or simply fill out our contact form on our website. 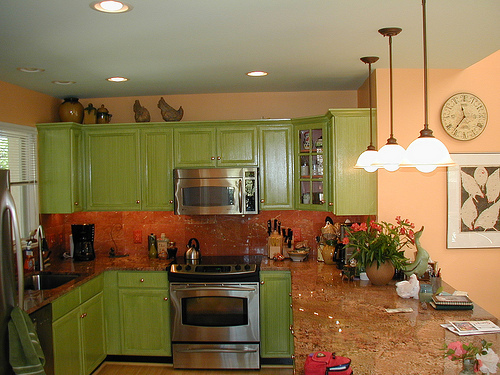 We offer high-quality, professional kitchen and bathroom painting services at affordable prices. We also offer a wide selection of other household improvement services such as exterior painting, wallpaper removal, wood staining and gutter cleaning, just to name a few. Color Therapy or Chromotherapy is the use of color to help modify mood and emotions. Color therapy, also known as chromotherapy, is the practice of using colors from the visible light spectrum to enhance moods, restore emotional balance and combat a variety of psychological problems. Although some critics argue the validity of this practice, others are more inclined to accept its theories. While using colors to affect your emotions may seem like a silly theory, there may be some truth in this “pseudoscience” after all. For decades, advertising companies and corporate design teams have utilized color to trigger desired behavior in their customers or employees. For instance, the most common color associated with fast food chains is red. McDonald’s, Hardee’s, Chick-Fil-A and Arby’s all use the color red in their logos and packaging. This is most likely due to the theory that red is an attention-grabbing color that is sometimes associated with appetite. (This is also why red is such a popular color choice for home kitchens and dining rooms). As another example, pink can sometimes be found in prisons, behavioral health centers or other types of places where residents may need to be confined or subdued. “Passive pink,” as it is called, is used as a calming color, though its effectiveness is often criticized by the scientific community. As for homes, most interior designers will agree that color has a powerful effect on the overall mood and atmosphere of a room, which in turn will affect the mood of anyone who enters it. If you want to create an inviting space for guests to mingle and feel comfortable, a warm orange (think terra cotta, not traffic cone) may work well. If you’re an artist in need of inspiration, try purple – the color often associated with creativity and spirituality. While most scientists will agree that color can have an effect on a person’s emotional state, most reject the notion that color has any effect on the physical or physiological aspects of health. While we at Colour Solutions consider ourselves experts when it comes to painting, pressure washing or wood staining, we aren’t exactly equipped to help our clients combat physical or emotional illness. If you find yourself experiencing any physical or psychological problems, you should contact your doctor. 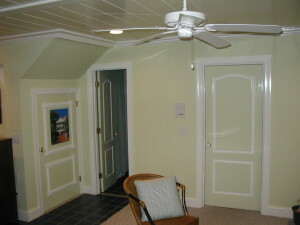 Choosing new paint colors is one of the most important aspects of a home remodel. A fresh coat of paint can do wonders for a room. Whether you’re space is in need of some serious TLC or you just want a quick and easy way to give your room a makeover without breaking the bank, paint can be your secret weapon against interior design disasters. 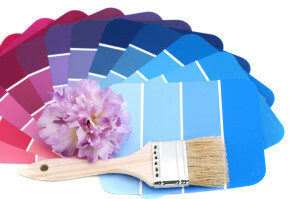 If you’re about to embark on a home remodeling project, be sure to give some thought to your color scheme and then choose your paint accordingly. From building an addition to knocking down walls to installing new appliances and light fixtures, any home remodeling project can be further enhanced by incorporating a new paint color. When choosing your colors, it’s important to consider the setting. Depending on the room and what it is used for, you may want something bright and invigorating, or you may want something a little more subdued. For instance, lime green or fire engine red may work well for a kitchen or play room, where there is usually a lot of activity and creativity going on, but such a vibrant shade probably won’t work well in a bedroom or study, where things need to be quiet and calm. Something more along the lines of a soft blue or muted violet would be well suited for a serene atmosphere. When in doubt, you can always stick with the tried and true neutrals – just don’t go stark white or jet black. 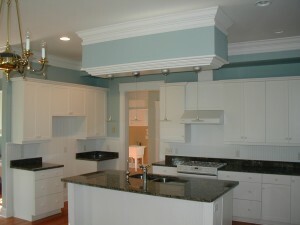 Grays, tans and off-white colors like cream or eggshell are standards that offer versatility in design and decorating. But if you’re looking for something a little more fun, don’t be afraid to use color! If you need help deciding on the perfect paint colors for your home remodeling project, we at Colour Solutions are happy to assist you. 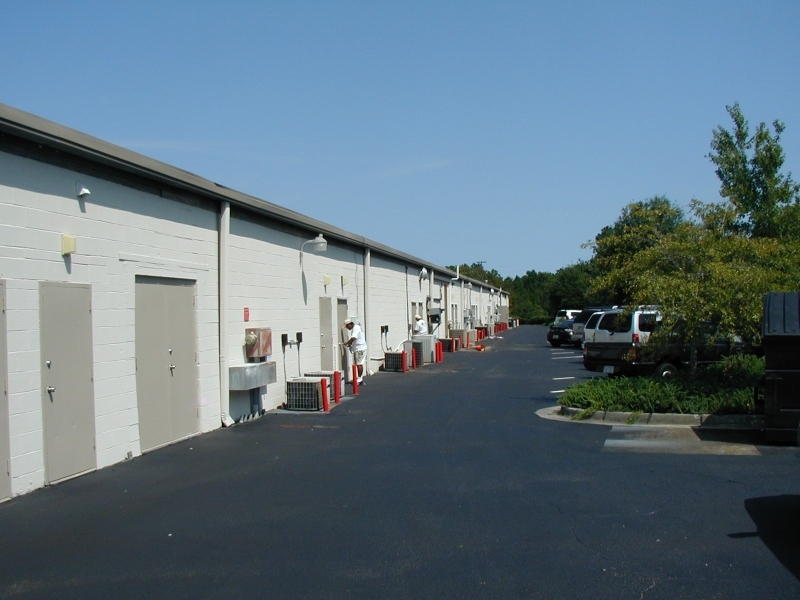 Just contact us at 910-686-3067 or request a quote online. In addition to providing residential painting services, Colour Solutions is also proud to offer commercial painting services, pressure washing, light carpentry work and more. And rest assured Colour Solutions will work hard to ensure your project is handled professionally and to your satisfaction. Check out our testimonials page to see what some of our satisfied clients had to say. Oranges – These edged out reds as a new way to add depth and drama. Pumpkin, copper, clay, and exotic curry, are a few to look for. The color consulting firm, Pantone, which selects their paint picks twice a year, have named “tangerine-orange” as one to watch. Blues – Cool and peaceful, shades of blue never go out of style. They can impart tranquility or create a breezy, endless summer feel. Some new choices to track down are those with hints of gray, turquoise, and aqua. 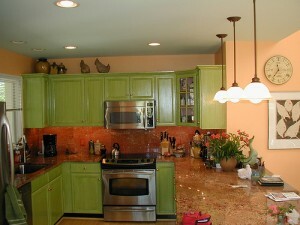 Greens – Because it is a secondary color that relies on blue and yellow, green can go in several appealing directions. This Old House has chosen three new greens that bounce from apple to a true green right from the crayon box to tinted shades that are reminiscent of sea glass. Grays – More interesting than stark white, selections in gray provide a great neutral backdrop. They are unobtrusive and can serve as a blank canvas for practically any accent shade that is deep, dark, rich, or bold, to generate instant drama! The This Old House article also noted that, “gray compliments Carrera marble, stainless steel, and nickel”, all popular in kitchens and baths. The ranges of tints for gray can make shades that are warm, soft, or stark. Yellows – Here are the go-to feel good choices for sure. Sunny shades of yellow are at home virtually anywhere. Pale buttercreams are perfect in traditional settings, while brighter, deeper, lemony picks add oomph to more contemporary homes. From true sunny shades to more subdued, creamier yellows, these cheery hues are sure to brighten up any space! Remember that painting trim, ceilings or pieces of furniture are several other excellent ways to introduce some fresh color into your home. For a little more information and some inspiration, here is a link to the entire article, complete with pictures of color choices. Lighter colors can make a room look larger. Whether you live in a small starter house or a three story luxury home, using space effectively is an important part of interior design. But did you know that the paint colors you choose can also have an effect on a room’s space? Well, truth be told, the color doesn’t actually add or take away from a room’s physical space, but depending on your color choices, a room can LOOK larger or smaller than it actually is. The general rule of thumb is, the smaller the room, the lighter the color. 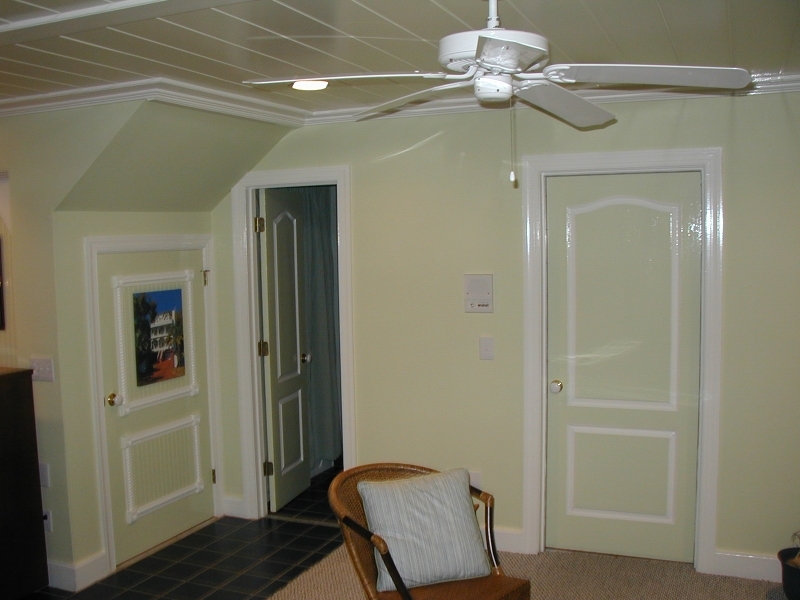 Deep, dark paint colors are generally avoided in smaller rooms without much natural light. Of course, this guideline isn’t set in stone. Sometimes a dark color can add a dramatic effect to a small room, such as a guest bathroom or laundry room. 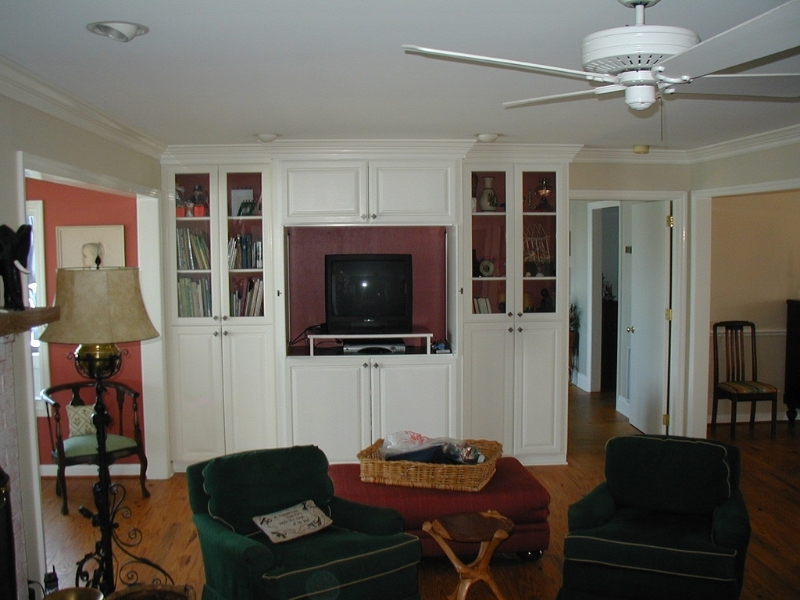 Likewise, a house with several open rooms that connect to one another may be overwhelmed if a darker color is selected. Light – How much natural/artificial light does the room get? 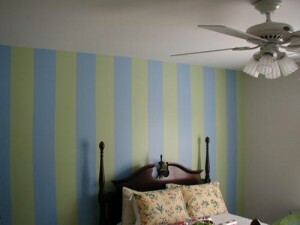 Remember that paint colors can look very different when exposed to different types of lighting. Architectural components – Do you have crown molding you want to show off? What about baseboards or window frames? 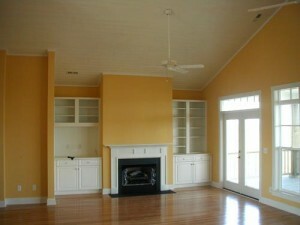 Will you choose to repaint these as well, or do you want to just find a color that complements the existing structures? Flooring – What color is your floor? What type of floor do you have? 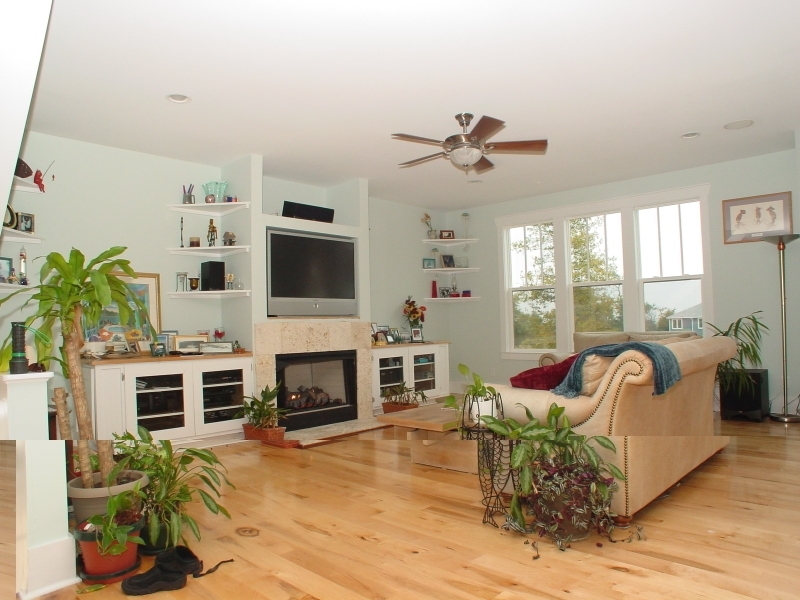 Do you want to highlight your prized hardwood floors? If you have questions, or just aren’t sure where to begin, give Colour Solutions a call. 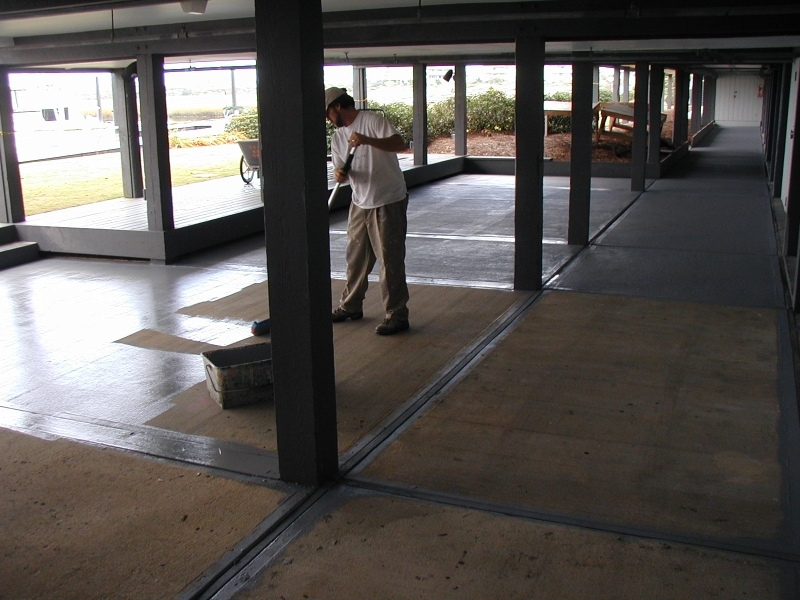 Dial 910-686-3067 today for a free estimate!